Time study is a method of measuring the total time taken by a specific operation containing one or more sub-elements by a well-trained operator in ideal working condition by a specific method. To be accurate time study helps to define how much time will be taken by an average operator in average working condition with 100% skill level. The aim of a time study has always been an observational method which would allow efficient, accurate, and reliable data collection and also able to capture a greater degree of work complexity. For convenience and better understanding, I’ve divided the time study process into three generations based on the use of modern technologies and up-gradation. The first generation time study tool comprises of a notebook with a time study table and a stopwatch. 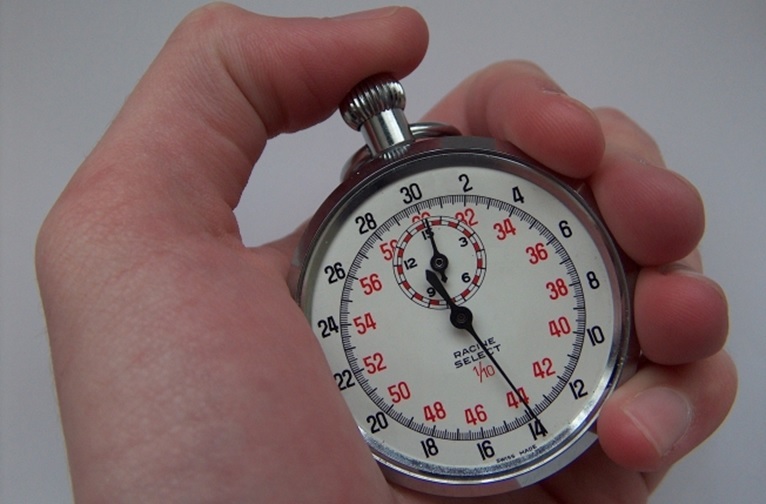 The stopwatch is used for measuring the time taken for any process. The time recorded is then used for calculating the basic time and then the standard time with the use of a formula. This is a very primitive way of doing a time study and I guess by now everyone is familiar with this process. If not please refer to this article by Prasanta Sarkar. But this process has a lot of flaws, the most important being the entire process being analogous which being in an age of Industry 4.0 seems a bit out-dated. Moreover, after recording the time, it again has to be converted into digital file thus making it time-consuming. Then comes the second generation, wherein the device for measuring time changed. Stopwatch got replaced with handheld electronic devices like mobile, tablets, digital stopwatch etc. This allowed for some greater functionality like increased lap time recording which came useful for calculating the time taken in sub-process or elements in any process. The countdown could be made entirely customizable according to needs. The upgrade is minor in regard to previous generations as documentation still had to be done on a notebook and calculations done manually. Finally came the third generation of time study tools which came of as a huge upgrade from the previous generations by completely digitizing the time study process with the use of electronic data collection tool. The data collected being digital could be processed with the help of software for better analysis. I’ve listed two of such tools that can be used for time study. It seems to be the easiest and accessible tool for doing a time study as each one of us has access to a mobile device. Time study applications can be found both in android as well as iOS. I personally installed some application in android with the intention of testing it. But to me, all the applications were in a very primitive form and not tuned to be used in the apparel industry. Even though there was some application wherein we could have inputs like operator id, name, options for adding of elements to a process etc. to my surprise one of the applications also allowed to input foreign elements in time cycle which can be very useful in real life scenario. The applications also give the option of directly exporting the data to an excel file. This can be the future of electronic data collection. This can be called as the most advanced system for the time as well as motion study. Timer Pro is an example of such software. It is a complete video –measurement solution with an aim for continuous improvement and lean manufacturing. It offers an integrated solution for calculation of process time or Time Study through video analysis. Along with that, it is also PDA based which means it can be used across devices and platforms like iPad, iPhone, Android smartphones, Tablets etc. The data collected can be easily exported in excel or required format for further analysis. Timer Pro has also worked with Toshiba to develop AR smart glasses with cameras attached. What it would do is capture the video of any operation from his point of view and this video can be analyzed for time study thus eliminating the need for an observer. Mobile application and advanced software for time study for the manufacturing industry including apparel manufacturing.